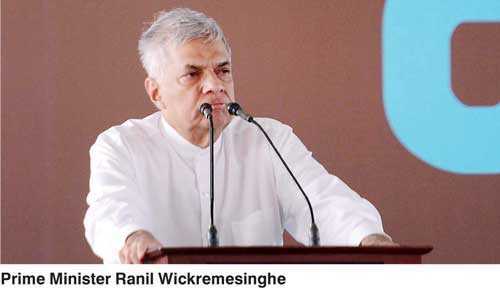 Prime Minister Ranil Wickremesinghe yesterday said the Government has offered tax relief for 300% of the income from capital investment to entrepreneurs who start business enterprises in the Northern Province to boost the local economic growth. The Premier said the Government’s aim is to restore the lucrative commercial economy the North had before the war, and the Government is committed to assisting the local entrepreneurs to invest in the region. “We want local entrepreneurs investing as well as bringing enterprises to the region from outside,” he said. Speaking at an event held at the Jaffna Municipal Grounds, distributing investment kits to new entrepreneurs under the Enterprise Sri Lanka program today, the Premier said the Government is engaged in several projects to develop the economy of the North after the destabilisation of the region due to the conflict. 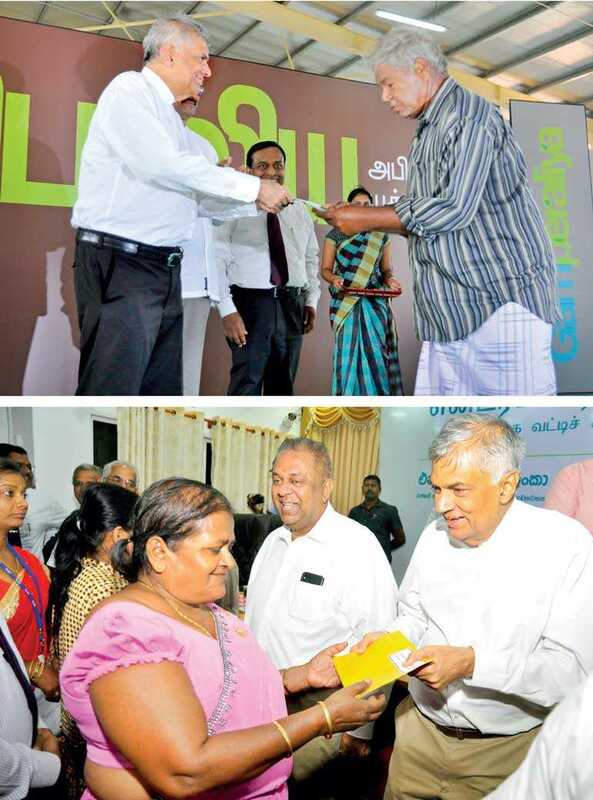 The Enterprise Sri Lanka program was launched in Jaffna today under the patronage of Prime Minister Wickremesinghe. The Premier also opened special Enterprise Sri Lanka counters at the Bank of Ceylon, People’s Bank and Rural Development Bank branches in Jaffna. Expressing his views further at the occasion, the Premier said that during discussions with bank officials, he had learned that the bank branches which have the most money deposited are in Jaffna, and that banks in the Northern Province maintain deposits of over Rs. 100 billion. “That money should be invested in Jaffna,” he added. “We will give money if you start from inside (the region),” the Premier said, encouraging the local businesses as well as individual investors to start new projects. The Prime Minister stated that the present Government is ready to provide all the necessary assistance to uplift Jaffna’s economy through entrepreneurship. The Premier explained that economic development is creating capital, and the Government is in the process of increasing the capital at the rural level by launching programs such as Gamperaliya. 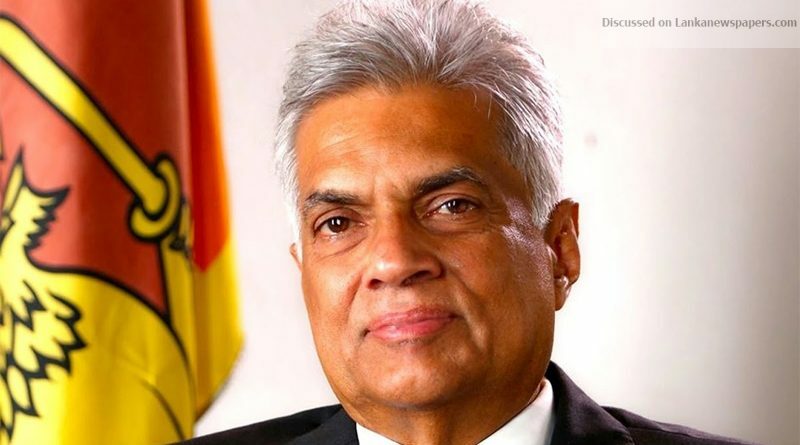 Premier Wickremesinghe said the people of the Northern Province lost their capital as a result of the conflict and therefore, the capital must now be created. He noted the arrival of tourists and the launch of rural development projects will lead to the increase in capital. Ministers Mangala Samaraweera, Rishad Bathiudeen, Eran Wickramaratne, and Provincial Council Chief Minister C. V. Wigneswaran were among those who attended the event.